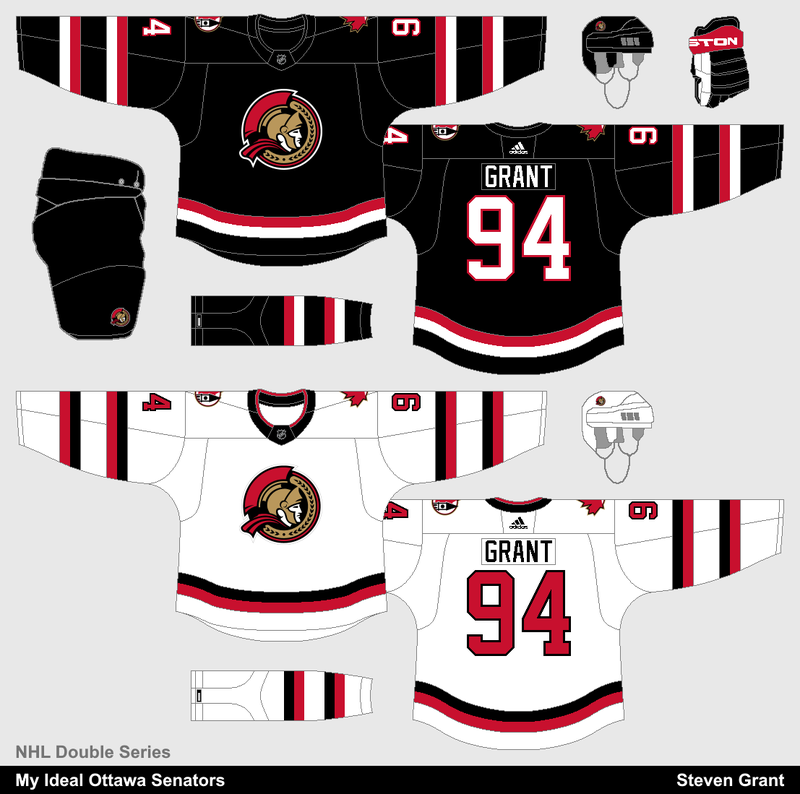 For my ideal concept, I returned the Senators to a black home jersey, used their updated 2D logo as the primary, and put two sets of stripes on the sleeves (and socks). 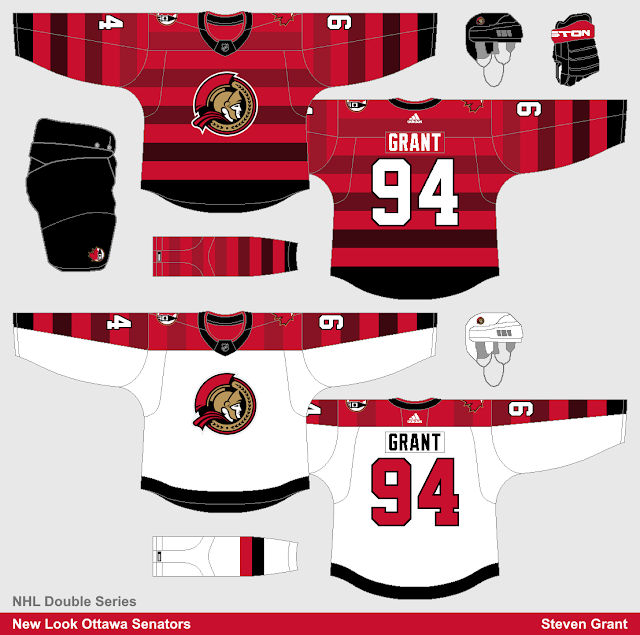 I also had this idea for a modern barber-pole pattern, using red and fading black stripes. Those stripes are limited to a sleeve-length yoke on the white jersey, and I used the same logos as the previous concept (updated 2D logo on the front and the old peace tower logo on the shoulders).